The EVO APAC website is now live! This website contains all the information competitors and spectators need to know concerning the EVO APAC tournament, taking place at UTS, Sydney on the weekend of 29th-30th of May, 2010. The site includes a section documenting the OzHadou APAC qualifier series of tournaments, and complete rules for the EVO APAC event. If you’ll be competing at EVO APAC, be sure to read the rules, as these are a little different to what’s typically used at Australian tournaments. Remember that the winner of the SSF4 tournament receives a paid flight to Las Vegas, USA to compete at EVO 2010. Just like EVO in the US, all competitors for EVO APAC MUST register online before the event. Make sure you register to avoid missing out! To celebrate both the release of Super Street Fighter IV and the forthcoming EVO APAC in Sydney, OzHadou is co-ordinating one of the largest tournament series ever attempted within Australia. The series is called OzHadou APAC, and will provide players throughout the APAC region a chance to qualify for SSF4 at EVO APAC in adavance. So Jack and I were fortunate to be invited to Gamespot to have a test of Super Street Fighter 4 earlier this week and give a quick review of our opinions on the game. Pardon the scrubby gameplay, we were too excited to do anything properly :P. Also huge thanks to Randy and Dan for the invites and shameless Ozhadou plugs!! Link to full vid below, we’re on from 22 minutes! Just a quick link to Seth and Randolf featuring some Hakan for those of you who can’t get enough oil! Seth goes through Hakan’s special moves, a little bit on how he plays as a character and few of his tools he will use in the game. 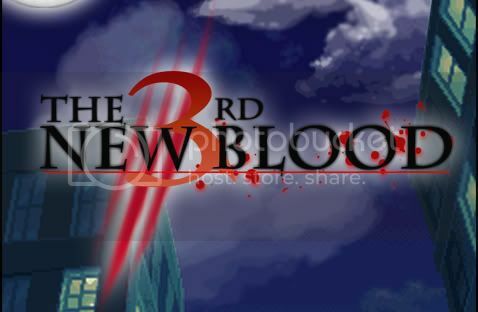 The latest New Blood CMV is finished and ready for download! The front page of Shoryuken now includes a number of excellent Strategy Corner articles. A recent highlight of this series is A Quick Guide to Reaction-Based Defense by Thelo, a Canadian HDR player who made top 8 at EVO2009 and mains E.Honda. As someone who’s playstyle favours the “down-back” position, I found this to be an excellent discussion of the difference between reaction and prediction in fighting games. Even if you prefer an offensive style of play, it helps to understand how to attack to minimise your exposure to reaction-based defense. With tongue firmly planted in cheek (I think), our very own EXC355UM postulates whether Akuma is Australian. You can find his solid research at Shadowloo or join the discussion in the forums.